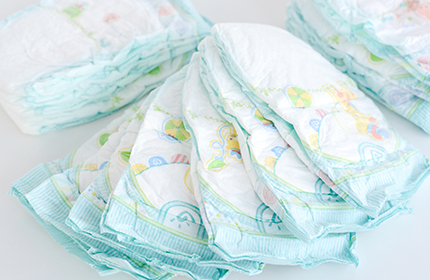 The diaper was created as a result of advances in medical science, which have enabled younger and smaller babies to survive, creating the need for even smaller preemie diapers that are also specially designed to meet their unique needs. 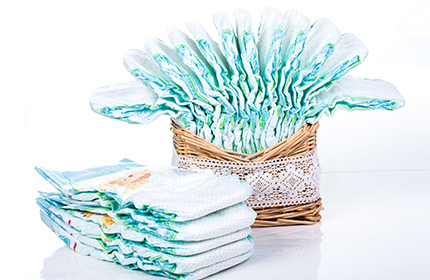 This made the disposable diapers segment as the fastest growing segment in hygiene industry which is owing to easy availability of improved raw materials and ease of use. In this manner ASNONWOVENS high-loft multilayer ADL which is developed with Airthrough Bonded technology, is designed to be used as a complex engineered fabric to provide superior fluid acquisition and excellent distribution with a consistent quality in order to increase the absorbent core performance of baby diapers. ASNONWOVENS Multilayer ADL is 100% inspected to generate a gentle and comfort night to baby by means of minimizing disruption of the sleep and to ensure that baby’s delicate skin is clean and healthy. In order to provide very different features for low-fluff diapers, we produce ultra-soft three-dimensionally embossed topsheet by air through bonding process.